JUBA, South Sudan – Two major breakthroughs marked the last days of negotiations in Addis Ababa between South Sudan and Sudan, and between Sudan and the rebelling Sudan People’s Liberation Movement-North. The agreements—one on financial arrangements between the North and South, and a second that secured humanitarian access into the conflict zones of South Kordofan and Blue Nile—followed on Khartoum’s decision to assume more conciliatory postures on both issues. In a surprising post-deadline decision on Saturday night, Sudan and South Sudan agreed on a financial package, inclusive of oil fees. Actual oil flow though, from South Sudan through Sudan, will only resume when an agreement on the remaining outstanding issues is reached. They include the final status of Abyei, border demarcation and disputes, and security arrangements. The deal is the most significant progress shown in the last two years of negotiations during which Juba and Khartoum have attempted to sort out their post-secession relationship. The agreement was struck days after a U.N. Security Council imposed deadline for the two sides to reach agreement on all issues, not just on financial arrangements. 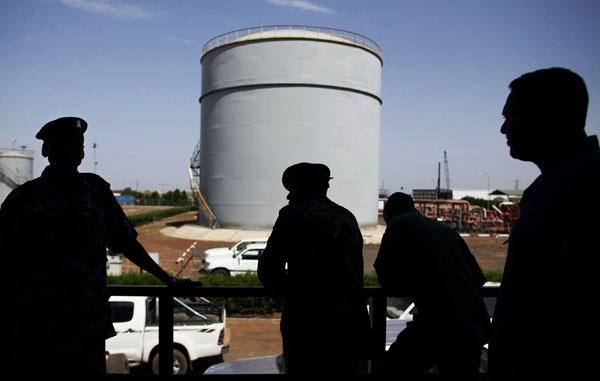 According to the South Sudan government, the oil transportation fee the two sides agreed on were $9.10 and $11 per barrel for the South’s use of the two pipelines that run through Sudan. On top of these fees, Juba also agreed to provide Khartoum with a financial assistance package of $3.028 billion. Assuming a daily production of 234,000 barrels of oil, the total financial package is equal to an estimated $3.8 billion. The two sides are slated to go back to the table in late August to hash out the remaining issues. The African Union Peace and Security Council has called on the facilitating African Union High-Level Implementation Panel to convene the two parties for continued talks on security arrangements and border issues. The council’s communiqué also called for the AUHIP to bring the two presidents together to conclude a comprehensive agreement, including on the question of Abyei’s final status. Over the weekend, Khartoum also agreed to accept a bilateral agreement between the rebelling SPLM-N, who are fighting government forces in the Sudanese states of South Kordofan and Blue Nile, and the United Nations, African Union, and League of Arab States on humanitarian access into SPLM-N controlled territory. The Sudanese government also signed its own agreement with the tripartite group. The Khartoum government has denied independent, third-party humanitarian access into the two states since the outbreak of conflict. As a result of fighting and this denial of access, “crisis to emergency” levels of famine have been predicted among the civilian populations in rebel-controlled areas in the two states. The agreement signed places the running of the humanitarian operation in the hands of the U.N., A.U., and LAS, in consultation with the SPLM-N. How humanitarian aid will be delivered and distributed in the two states is supposed to be decided in the next week. Despite the relative progress, actual implementation of both agreements will be the real test of each signatory’s sincerity. On the North-South front, the oil agreement will only hold as part of a larger, comprehensive agreement that addresses the other points of contention that brought the two sides close to war in April this year. At this pivotal juncture in the negotiations, sustained international pressure is critically needed to maintain the momentum created by the oil agreement to push through such a comprehensive deal. North-South peace is additionally dependent on progress toward resolving the conflicts in Sudan. The humanitarian access agreement is a significant step forward on this track. But again, whether what is stated on paper is actually implemented on the ground will be the real test of how substantive these negotiations breakthroughs are.